Have you ever been fishing and catchin’em really good off one spot, then the action slowed a little bit, then it pretty much shut off? You figure you probably caught them all, so you move to another spot. Next time that happens, before you move, try switching your lure presentation. If you do, you’ll probably catch a few more. Here’s why. Several times in the past I’ve had the good fortune to get in on a good bite. A few times I can remember we were catching walleyes, other times it was smallmouth bass, and a couple of times it was a crappie bite. It was always one of those deals where the fish were pretty concentrated, and if I remember correctly, it was always a casting presentation,,,never trolling. Anyway, we would be getting bit really good on, say, jigs. We caught a bunch of fish in a short period of time casting jigs to a particular shallow structure that was holding a school of fish, and they were hungry. We would catch several right away, then the action would slow a little, then it would stop. Next time this happens to you, change your presentation: I’ll bet you catch a few more fish off that spot. What happens is, they become conditioned to that particular style of lure or color or action or something. If you show them something different, they’ll almost always start eating again. I remember one time I was catching smallmouth bass off a rock-pile that was in about eight feet of water. I was throwing a hair jig, and they were eating it. Color didn’t matter, or at least at first it didn’t matter. I think I was throwing a white jig. I caught six or seven bass right away, and all were in the same location when they bit. Then I made several more casts and caught nothing. I tied on a different color jig, cast to the same spot, and got bit right away. Several more casts produced a couple more bass. The bite wasn’t as good as it had been, but by changing colors I was able to catch a few more fish before the spot wore out. You could also try a completely different lure presentation. Again, let’s say you’re catching them on a jig and they quit biting. Try a faster moving bait, maybe a crankbait. Or go the other way: Throw a slip-bobber out there and give them an in-your-face presentation. 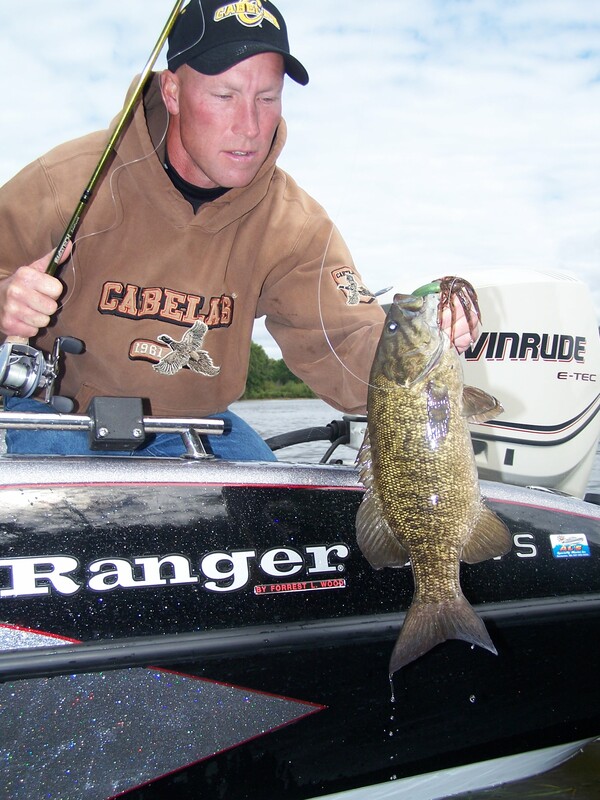 Show them something different than what they’ve been eating and much of the time the fish will respond favorably. In some ways, not very many, but some ways, fish are like people. If we eat too many cheeseburgers, we get tired of them and don’t want anymore. However, slide a slice of pizza out there and it is quickly eaten. Show a walleye enough jigs and they’ll quit eating them, but run a crankbait by that walleye and it just might eat it. If you want to keep catching fish when they’re tired of eating what you’re using, use something else and you will greatly increase your chances of getting bit.